As every marketer knows (or should know) the World Cup is a tricky business. You can’t mention it for start, not unless your client is a global brand superpower that has slipped tens of millions of dollars to FIFA in a brown paper envelope. Russia 2018 is also out. So we are forced to talk about the tournament in Russia’ or ‘the summer football’. Same goes for references to the England football team, who we have to refer to ‘our team’ or ‘the boys’. So when Three, like any other brand, wanted to show it’s support for our boys at this summer’s tournament in Russia, it required some smart thinking. 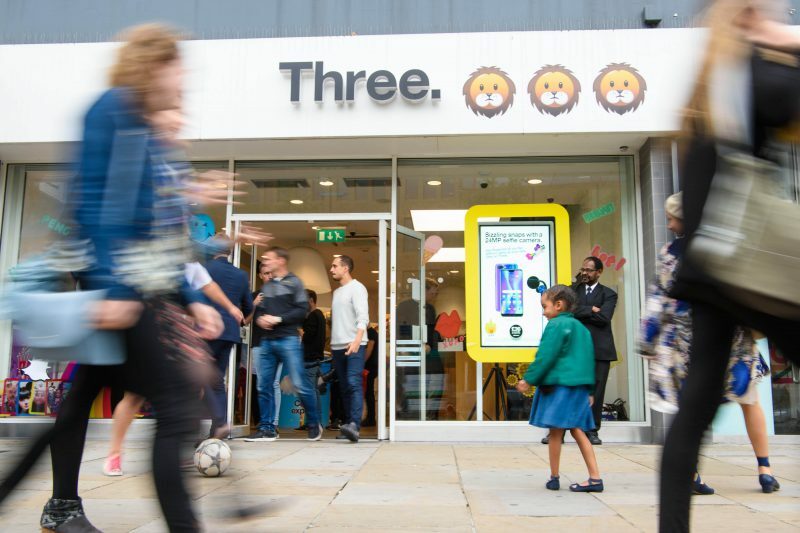 The mobile brand rebranded a number of its retail spaces across England with the language their target audience uses instead: the emoji. The campaign, which was conceived and activated by W, was launched with some real former Lions at the Islington store: John Barnes, Tony Adams and the Romford Pele himself, Ray Parlour. 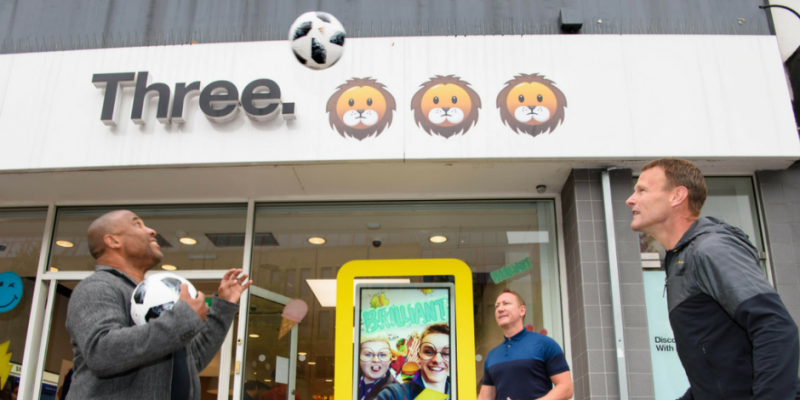 The Drum magazine described the ‘clever stunt’ as ‘one of the most blatant pieces of World Cup ambush marketing in 2018’.